Sir Donald Bradman saw more cricket than anyone else in the twentieth century. He personally watched virtually all the best cricketers from all the major playing nations, as well as both playing in and selecting Test sides from 1928 to 1971, giving him an unprecedented appreciation of the best the sport had to offer. Added to this was a skill in judging a cricketer's capacities and talents that was second to none. Bradman retained all the detail of every match - from the trivia to the humourous moments - and he never lost the ability to distil it all with quite extraordinary perspecacity. 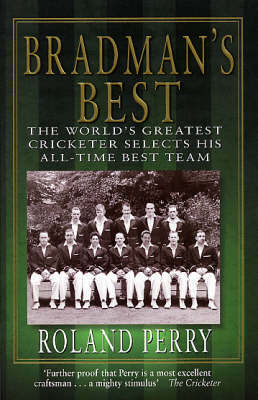 And towards the end of his life, from a whole century of cricketers, he selected the very finest twelve for his ideal team. Now, for the first time you can read about that team, in the words of the great man himself, and in so doing gain an extraordinary insight into the game he loved.